Our Digital Learning Realities research highlights that over 70% organisations are going through a massive shift in how they think about learning in their organisations. Where is your organisation on its journey with digital transformation? And are you headed in the right direction? 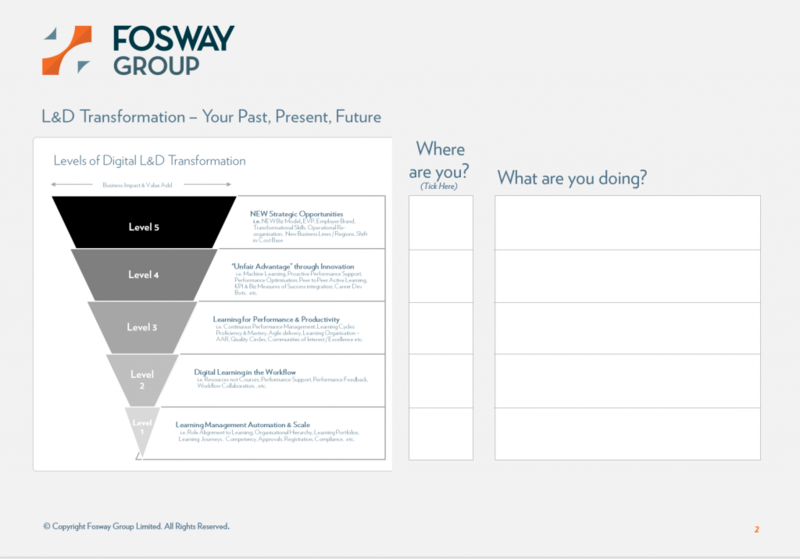 Our digital transformation resources are designed to help you examine what you’re doing now and where you’d like to be in the future. From hearing how Sky has transformed its digital learning to our latest research, check out the resources below or talk to us today about where you are in your journey. And hear what Fosway’s David Perring and Fiona Leteney had to say following their fully booked workshop at the Learning Technologies Summer Forum in this short video. Develop your business case, secure stakeholder sponsorship and acquire investment in change – consolidate your permission to act! 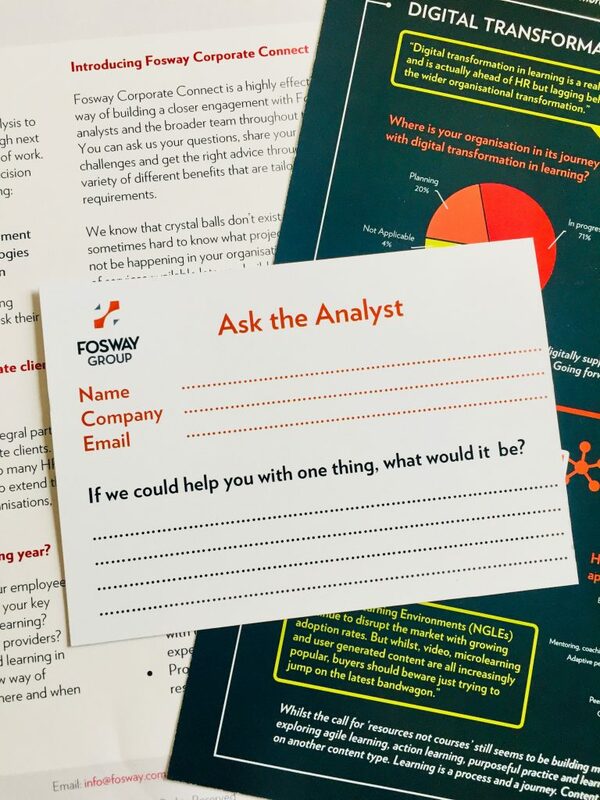 Speak to us today via +44 207 917 1870 or info@fosway.com. 2018 Fosway 9-Grids™ for Cloud HCM and Talent Management now live!